The entrepreneur of the future has been identified as a woman aged 28 with a masters degree and currently living in London earning between £20k-£40k a year, according to new research. The findings from Nectar Business Small Business Awards reveal that a coffee shop is the business she would most like to start up to become more flexible (37%), make more money (32%) and have a better work/life balance (27%). Other findings reveal that £61,736 is the annual salary women would need to be paid to stop dreaming about setting up their own business - a figure which is almost two and a half times more than the national average salary*. In fact, over 40% of Brits would rather earn less cash in order to fulfil their entrepreneurial ambitions and work for themselves. Just over a quarter of UK adults (26%) would be content with a salary of £30,000 in return for working by themselves, and a further 16% would opt to make £40,000 from running their own small business employing staff. The research predicts that UK entrepreneurship will continue to flourish over the next five years; 42% of adults say that they would like to start up their own business or become self-employed and almost 20% believe that they will do it before 2021. Young people are leading the charge; those aged 16 - 30 are 84% more likely to start up in the next five years. While crowdfunding is seen as an increasingly popular option for the millennial generation to finance a new business (14% see it as an option), traditional methods like banks and building societies (39%) and the ‘Bank of Mum and Dad’ (32%) are also still key. Judge of the Awards, BBC ‘Dragon’ and businesswoman, Sarah Willingham comments: “I’m a real champion of small business in the UK and believe that they are at the heart of our economy and our society. “It’s encouraging to see that so many women are keen to become entrepreneurs and the research shows that it’s not all about money, but rather the pursuit of turning a dream into reality and finding a greater work / life balance; something which I can definitely relate to. Nectar Business has been championing small businesses for over a decade and is once again on the hunt to find the UK’s most outstanding small businesses to celebrate their achievements through the annual Nectar Business Small Business Awards. 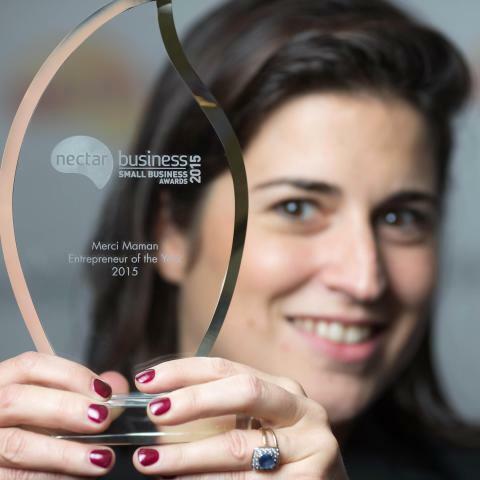 The Nectar Business Small Business Awards are free to enter. Featuring eight categories, from Best Use of Innovation to Best Homegrown Business, all UK SMEs, social enterprises, charities and entrepreneurs that demonstrate innovative and sustainable businesses are encouraged to visithttp://nectarbizhub.com/ to download an entry form. Completed forms can be returned by email or post until 10 July 2016.